So the Tuesday after I got back from Field Day, I went out and looked at the mast and the antenna for a bit trying to devise how I'd get the antenna up myself. My proposed help was still on the way back from FD and wouldn't be back in the area until Thursday and gosh darn, I just can't wait that long! I was trying to think of a way to lever it up but that wouldn't work, then I got a ladder out and I thought I'd be able to set it in the mount from the ladder but that much leverage at that height was way too disconcerting so I put that idea to bed. Finally I thought of the best way to do it: lower the bracket to the ground, mount the antenna to the bracket, then slide the whole thing up to the top. This worked just fine! I got the antenna analyzer out and got pretty lucky, everything was pretty well tuned at first blush. I ran the coax back to the shack and the matches were not all that great on 40 and 20. 20 was at about 2:1 with a resonant point somewhere up at 14.5 MHz. 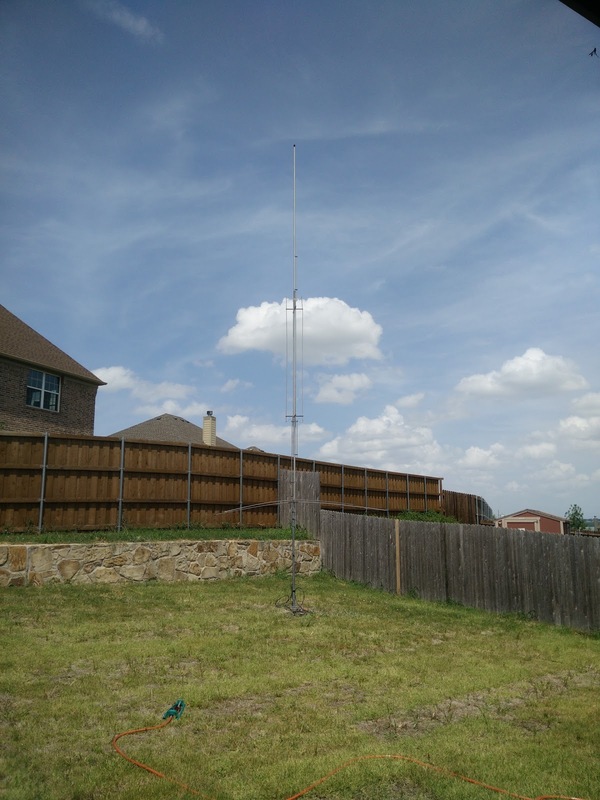 40m was OK just not in the CW portion of the band. The big loop on the bottom (the "TITAN") is supposed to tune 40 but I couldn't get it to make any difference so I just clipped a bit of wire on the end of that loop and that brought the resonant point down to where it was <2:1 on the cw band. Nevertheless, the antenna is resonant on all bands pretty well now. The SWR curve on 17 looks really weird so I wonder if there's a loose connection or something but I'm not too worried about it as most of my operation will probably be 20m and lower during the solar minimum. So yeah, I'm ON THE AIR in a serious way! 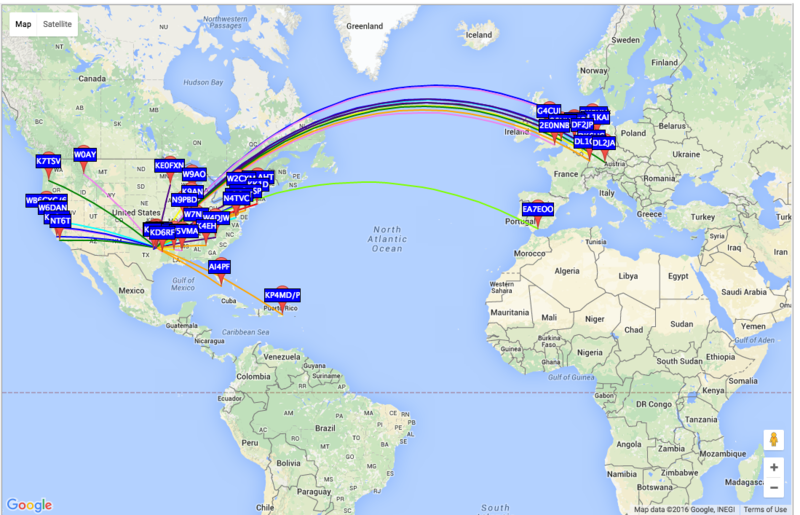 I also jumped in the CWT on Wednesday night and made a handful of contacts including one with France on 40 which is cool because I've never really had an antenna on 40 that was any good for DX, as this one appears to be. Hope to hear you all on the air soon!